The bust shines a light on the need for a stricter ivory ban, anti-poaching activists say. While China's ban on the ivory trade represents a huge step forward for a country that only recently called ivory carving part of its intangible cultural heritage, it's simply not enough to turn Beijing into the responsible international actor it claims to be. China’s Decision To Halt The Ivory Trade Is A Game-Changer. 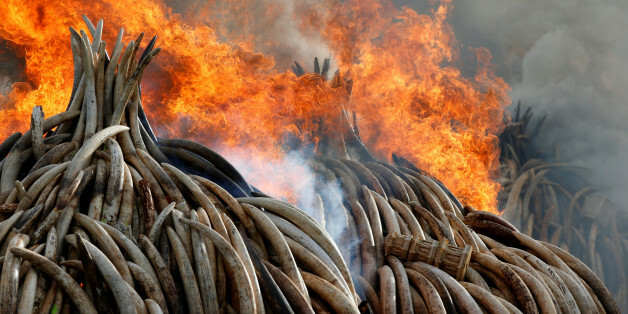 The End of the Ivory Trade? Ivory may finally become a relic of a painful and destructive age of commodifying wildlife, and elephants may be spared widespread regional extinction if China can implement its 2017 ban on ivory within the year, as planned. Since youth will be tasked with finding solutions to challenges, many of which our generation has yet been unable to solve, we have to ask ourselves, are we providing them with the intellectual and analytical tools, incentives and motivation to tackle these issues going forward? Policy Matters: Lions, Tigers, and... Elephants! Is Swaziland Selling Live Elephants and Rhino Horns Simply for Profit? A government that can make $14,000 a pound from something confiscated from poachers, has incentive to give poachers a slap on the wrist and send them right out again. Financial markets love predictability and hate mixed messages. When messaging is ambiguous, it can send the markets into a tailspin. The same can be said for conservation. To address the threat of the illegal wildlife trade, the message we send must be direct and unwavering. The Giants Club, founded by His Excellency Kenya President Uhuru Kenyatta with the presidents of Botswana, Gabon and Uganda, with support from the international NGO Space for Giants, has giant ambitions to bring various stakeholders in elephant conservation together to solve the global crisis.